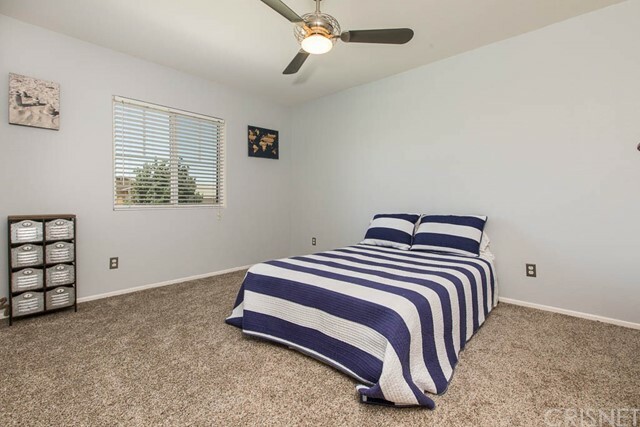 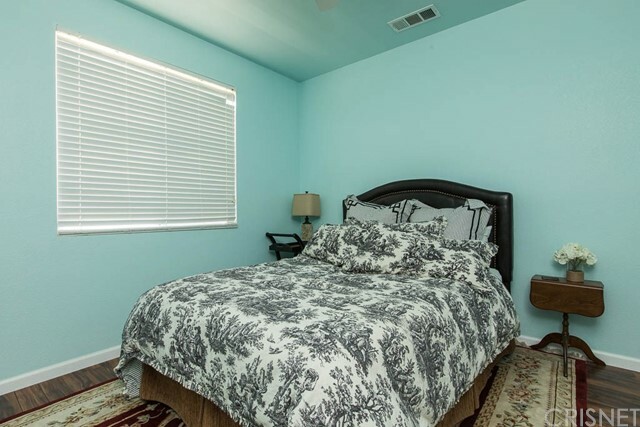 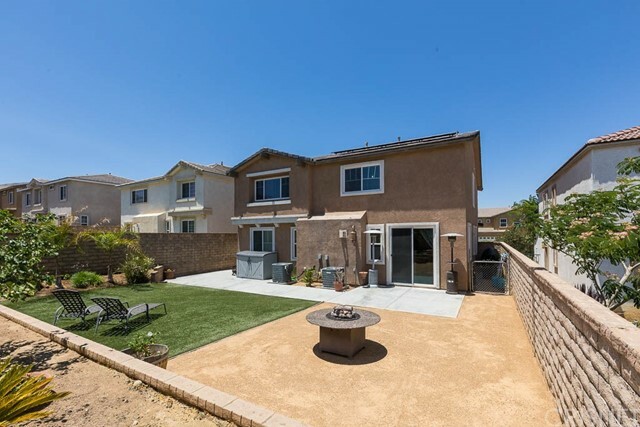 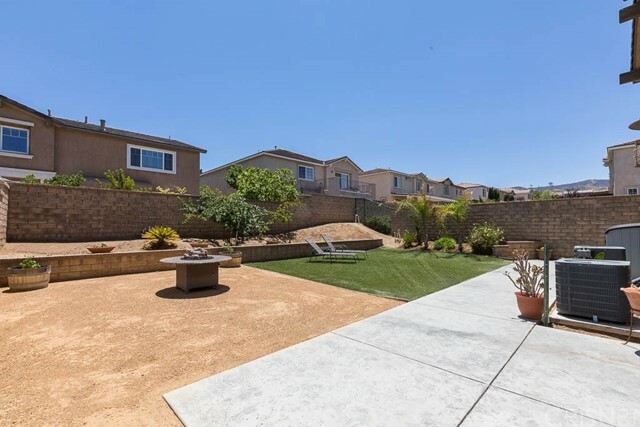 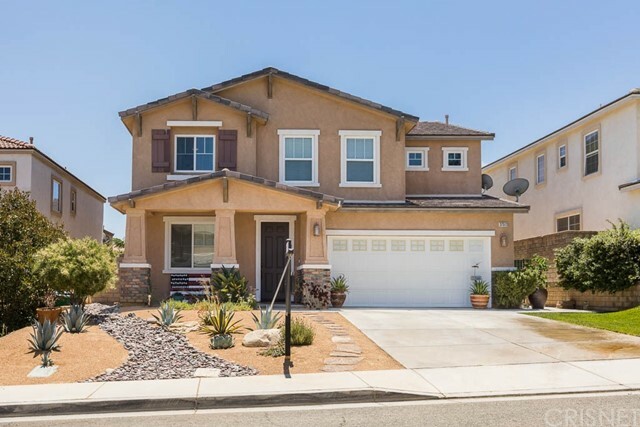 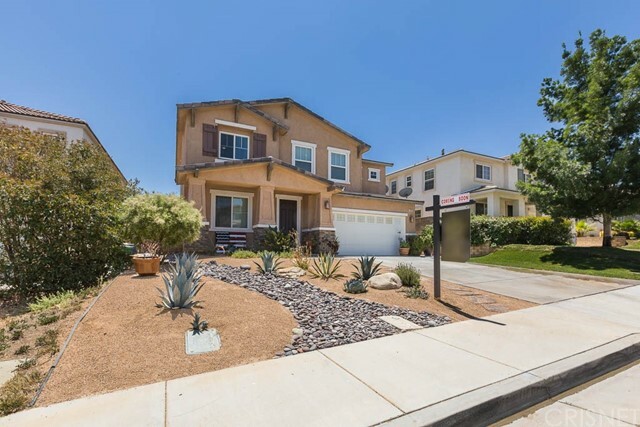 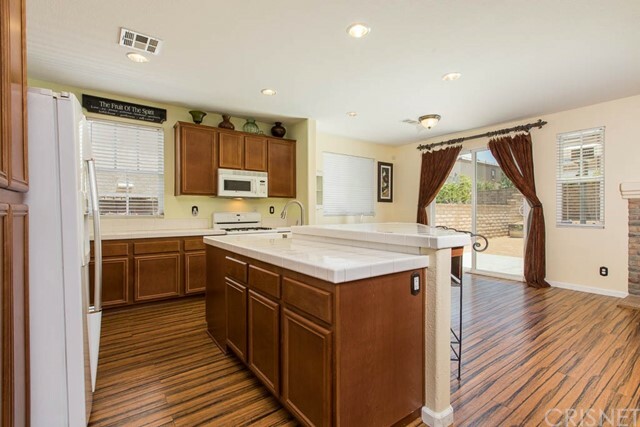 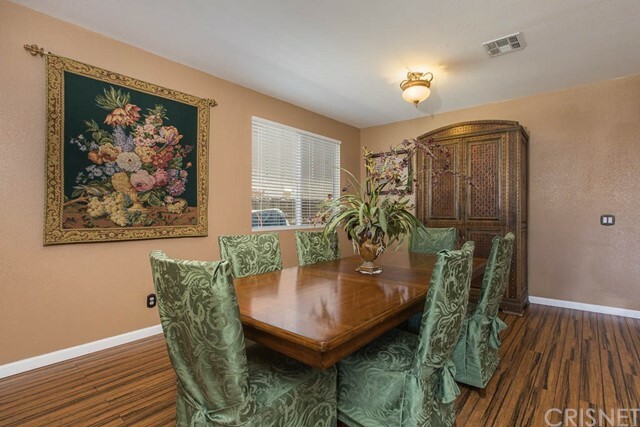 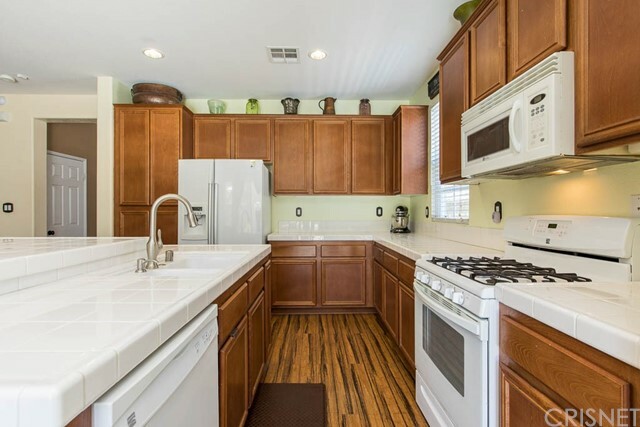 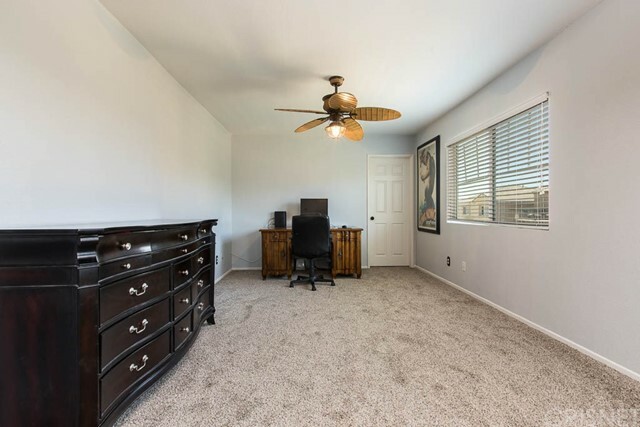 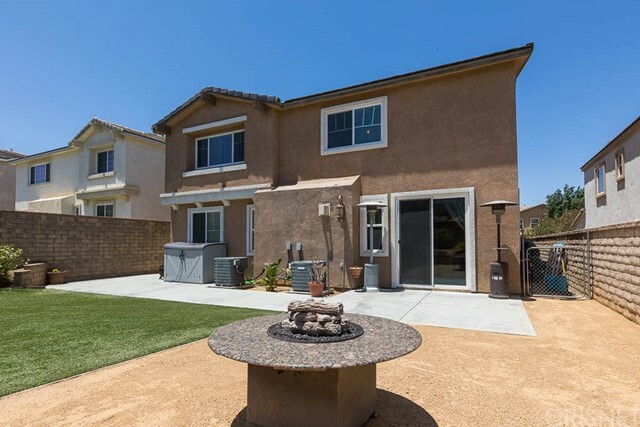 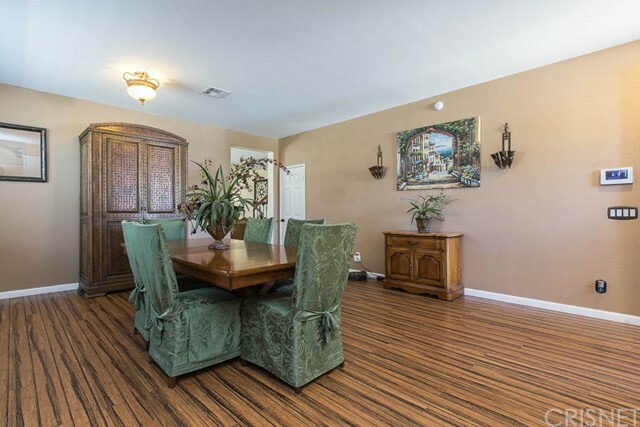 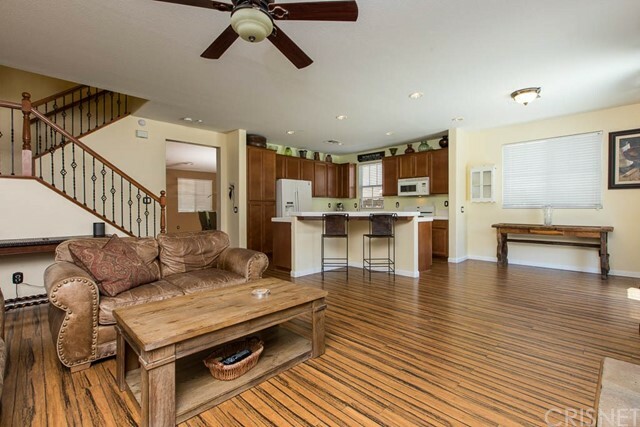 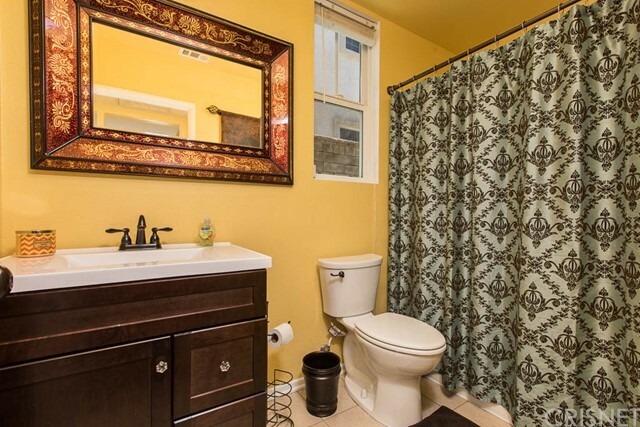 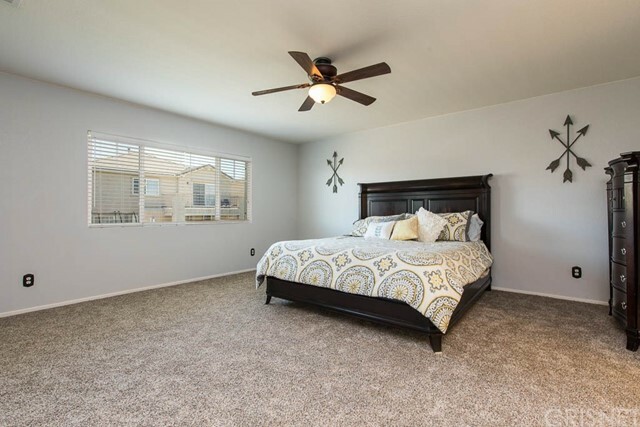 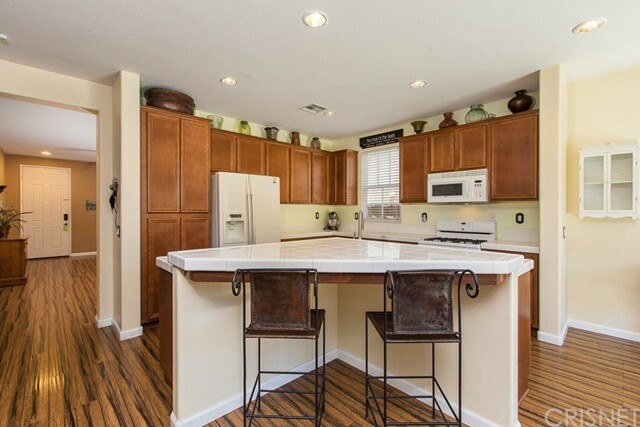 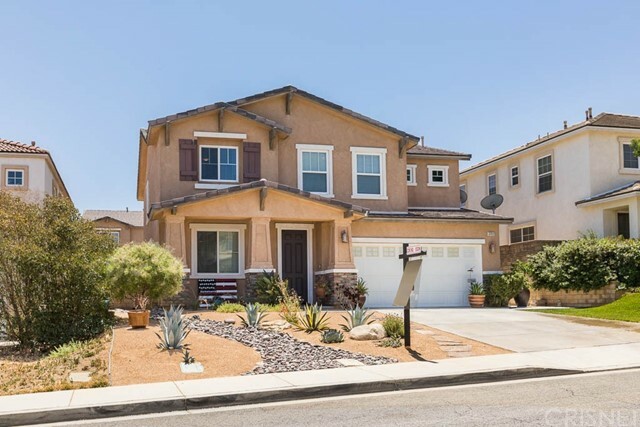 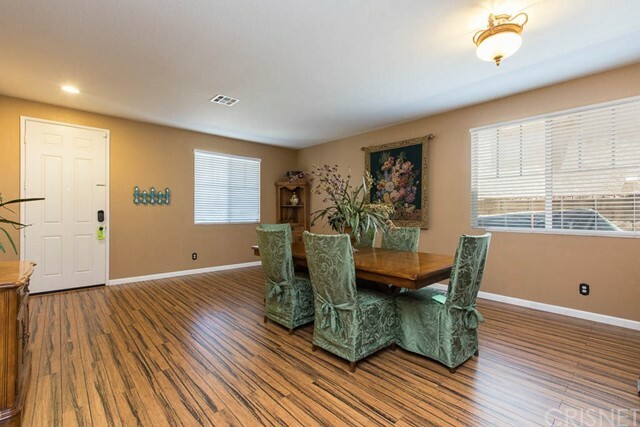 Gorgeous Anaverde Hills 4 bed 3 full bath home in desirable west Palmdale. 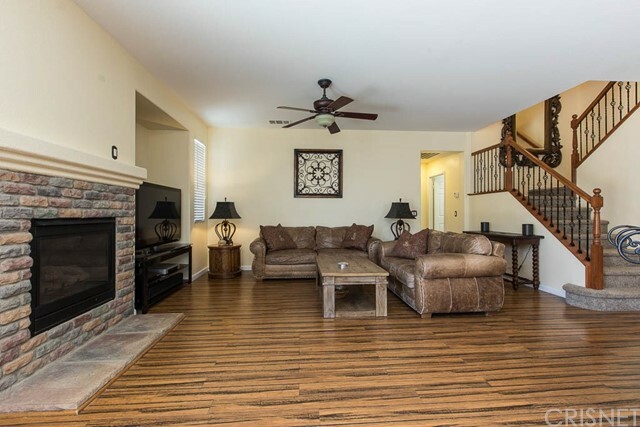 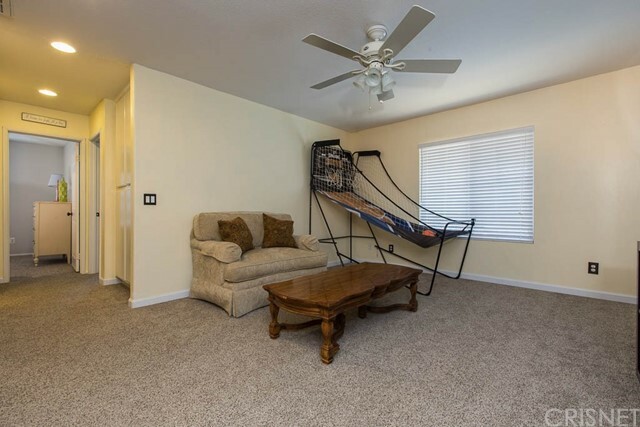 This home features new wood laminate flooring throughout the 1st level, new paint, and carpet on the 2nd level. 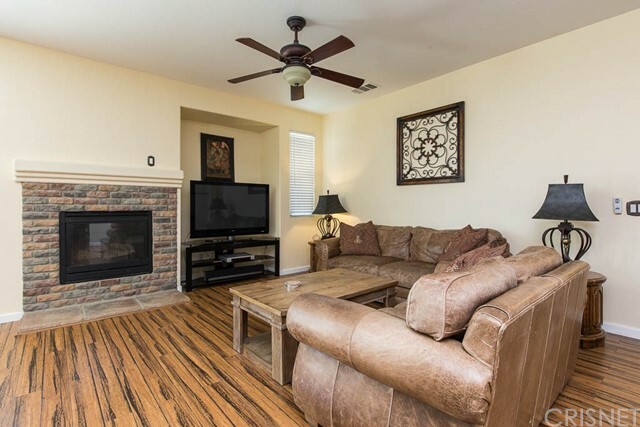 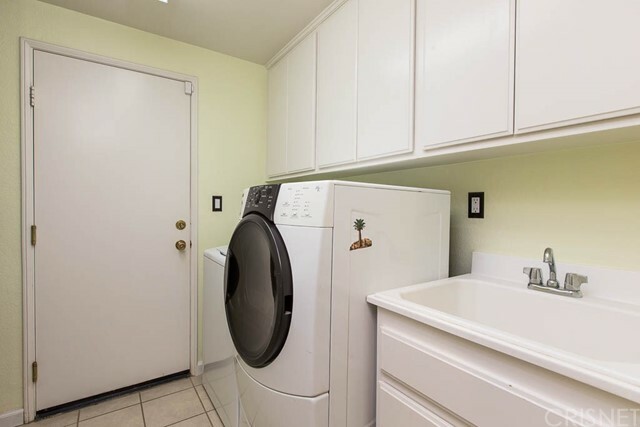 The home has a big bright/open kitchen and family room with a large stone fireplace, a first floor bedroom and full bath, laundry room with cabinets and a sink. 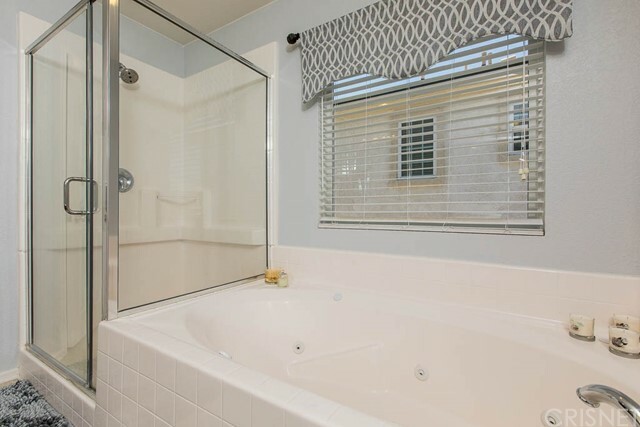 The dual A/C units will make you feel like its December even in the summer time! 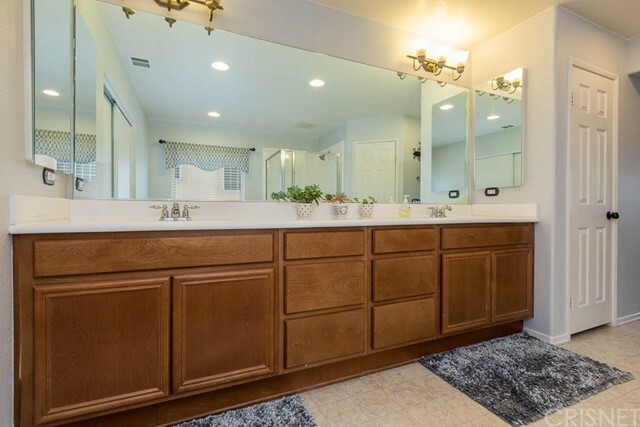 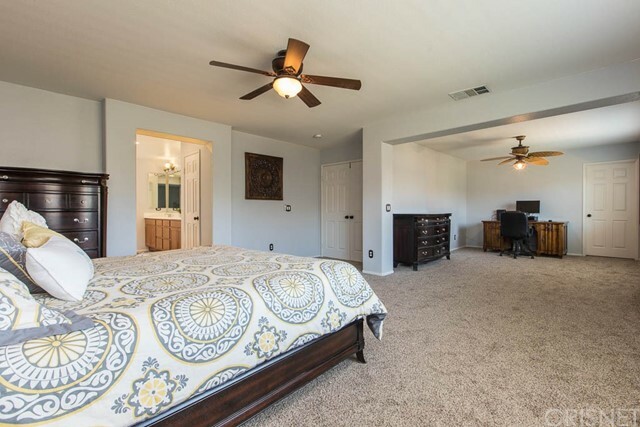 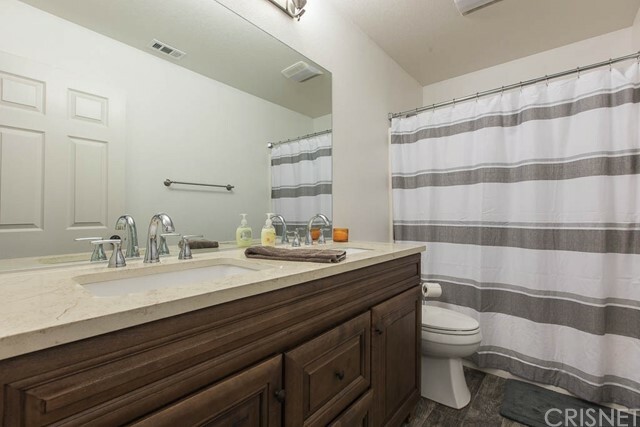 The 2nd level Master bedroom has a gigantic attached retreat area and the Master bath features a jacuzzi tub, dual sinks, and a large closet. 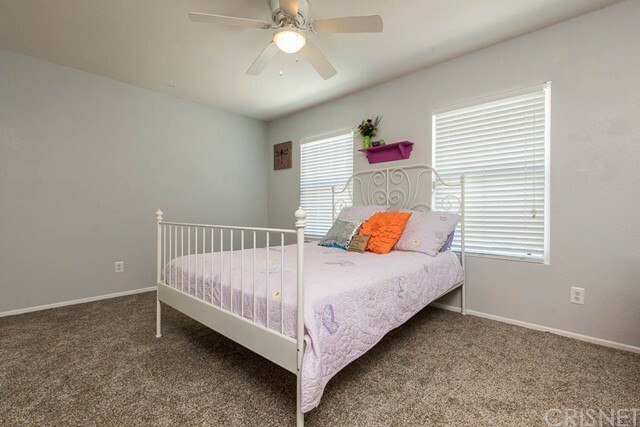 The 2nd level also has two additional bedrooms and a cozy family room for movie nights with the kids. 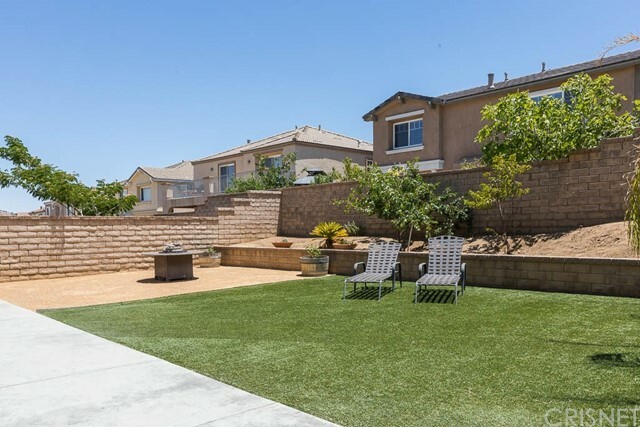 Custom desert landscaping in the front yard and low maintenance artificial grass and decomposed granite in the back yard. 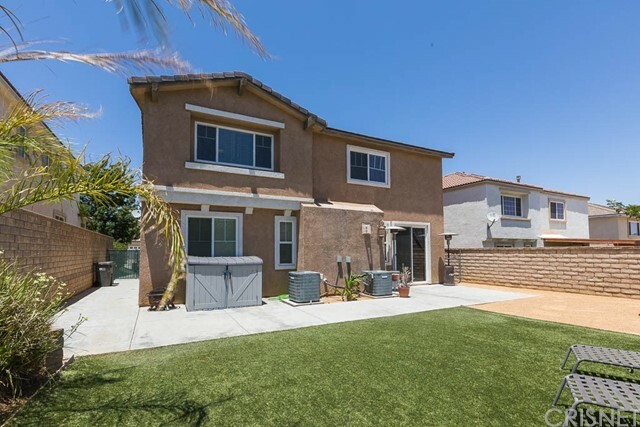 This home is priced to sell fast, be the first to make an offer!